Who is concerned by WILCO? The academic circle, formed by researchers and academics. PhD students constituted a special sub-group and as such, a specific PhD training module was produced for them. If you are interested in including it into your curriculum, please contact us. The practitioners’ circle, formed by professional from the various activity sectors included in WILCO. The general audience: citizens interested or involved in social innovations in their local context. The involvement and commitment from media representatives and opinion leaders was crucial to achieve this. A chart of patterns of social inequality and social cohesion among the elderly, migrants and women in European cities across 11 countries. A typology of urban policy innovations taking stock of existing data from previous ambitious European projects with a view to systematizing and sustaining the identification and replication of these policies and effective transfer of knowledge in the area. An analysis of the conditions of emergence and success (or failure) of urban innovation policies within different socio-economic models and traditions of local welfare, taking into account the effects of epistemological frameworks at work in specific contexts. A series of contributions in leading international and national peer-reviewed journals, reviews and periodicals aimed at the scientific community. From a higher education stand point, addition to courses currently taught by WILCO partners in major high-education institutions at both undergraduate and graduate levels; and by creating an ad hoc training course for PhD students and young researchers. The identification of some crucial questions for the field of welfare service for the specific target groups, including an interpretative framework for various local welfare systems across contexts as well as innovative instruments and practices. The transfer of knowledge through problem-oriented and policy-relevant research as well as a new interdisciplinary knowledge base for innovative policy development effective in contributing to social cohesion. Specific documents (i.e. Executive Summaries) to contribute to their knowledge based on project results as well as language and ideas for them to involve other stakeholders the policy-making process so as to increase participation of citizens. The multidisciplinary approach of WILCO, reflected in the theoretical choices and mix of partners, will be reflected in the impacts we aim for. The recommendations for urban policy we make will be made with respect to various (and unfortunately compartmentalized) policy areas such as social care, employment, health care, family, migration and education. 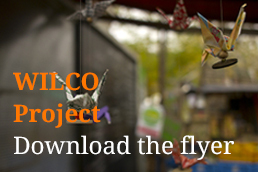 Policy Brief and recommendations offering WILCO’s innovative interdisciplinary and comparative findings for evidence-based policy making in key areas of the European social model. A session during the closing conference targeted at European, national and local policy makers; representatives of professionals and citizens; European-level networks active with a stake in our policy fields or focus groups; and Commission officials. Rising awareness on the importance of citizen-led initiatives for effective local welfare systems combating social exclusion. Maintaining ongoing consultation with grass-roots organisations to present the research. National, regional and local networks will be mobilized, such as the members of the European Anti-Poverty Network (EAPN) working for social cohesion in Europe. 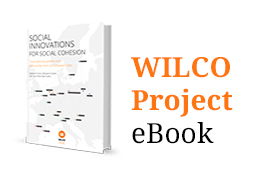 Via EAPN’s 26 National Network in Member States of the European Union plus Norway and 24 European Organisations active in several or all of the EU member states, WILCO will be able to launch messages (and test their efficiency) based on intermediate and final results. 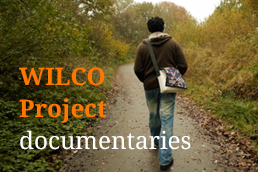 By sharing the progress and results of the project via the WILCO website and the other communication channels included in the media plan.